The manufacturing village was first introduced by David Humphreys (1752-1818) at Humphreysville in Derby, Connecticut in 1808. It was a uniquely American response to the early stages of the Industrial Revolution. Paternalistic in concept, these first planned communities, often named for their founders, were intended to avoid the exploitation and degradation of workers common in so many English factory towns. Earlier in the century there were about 200 such "company towns" in New England. Taking Humphreysville as a model, American manufacturers often assumed a nearly parental responsibility for their workers, providing housing, churches, schools, libraries and company stores. Sometimes they also undertook the task of supervising their workers' moral character and behavior as well. Forsaking the English suffix "ford" or "burg," these villages frequently added the French suffix "ville"to their name; reflecting the post-Revolutionary enthusiasm for all things French. Talcottville developed around the site of one of the earliest cotton-spinning mills in Connecticut and is a good example of the social and industrial organization of the manufacturing village and the philosophy behind it. While the mill town was legally within the jurisdiction of (and paid taxes to) Vernon, the property was privately owned and operated just as a single factory building might be. The Talcott brothers provided their workers with not only housing, but also a church, school, library, social hall and store. A Talcott owned farm provided dairy products and produce as well. 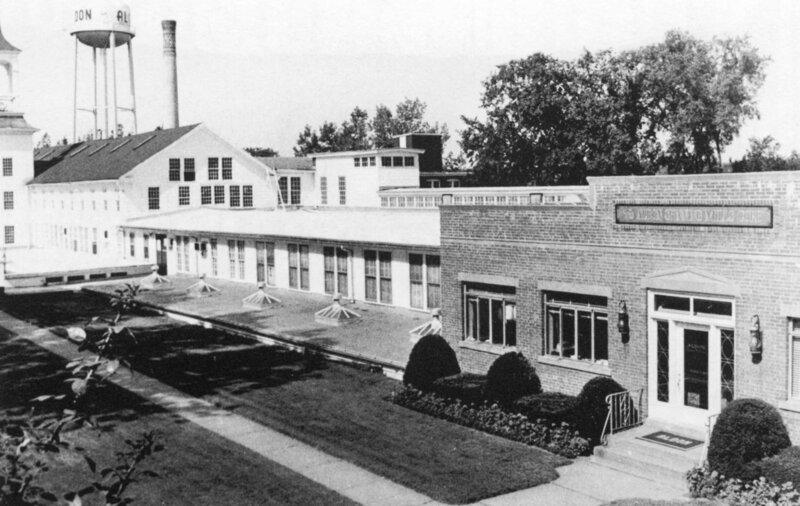 It was the stated purpose of the Talcott's to operate an orderly and well-regulated industrial village. They bought the village in 1854 and the family continued to hold the entire village land, mill, houses, and public facilities for nearly a century. In 1867, the Talcott's gave land for Mount Hope Cemetery. About 1870, they added a building which served as the social center for the village. The first floor housed the store and post office and the second floor served as a social hall. Talcottville is an exceptionally well-preserved example of a nineteenth century factory village. A contemporary historian, J. Cole, wrote about the village in 1888: "Talcottville is admirably located, beautiful in appearance and clean almost beyond comparison. The similarity of design, color of ornament, and general appearance of its residences, is sufficient evidence that the aggregate are under the control of one corporation. Mill, store and dwellings are of Puritanical whiteness, and the window-blinds are of the regulation and time-honored green. Not a fence of any description mars the beauty of the well-kept lawns."